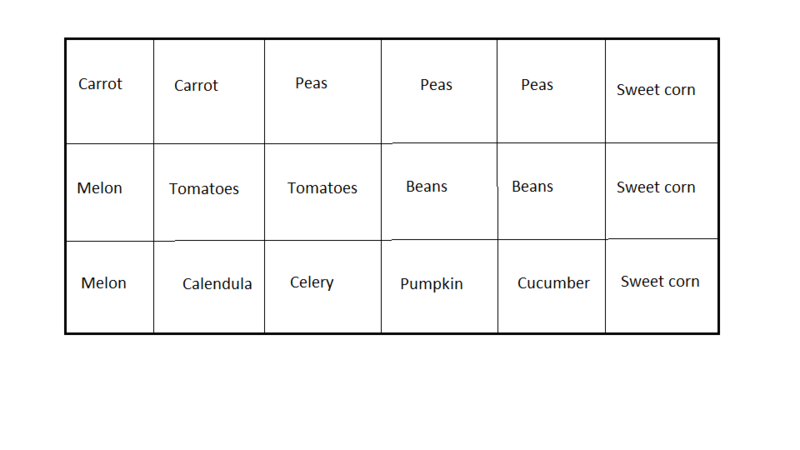 Sow seeds in garden 1/4″ deep three weeks before last spring frost. Spacing: Plant 30 seeds per sq. ft.; thin to 16 plants per sq. ft.
Replant six to eight weeks before fall frost for late crop. Days to harvest: 55 to 70 days from seed. Frost-hardy. Hint: Before planting, loosen soil to 12″; remove stones and add compost. Plant outdoors 1″ deep as soon as soil can be worked. Spacing: nine to 16 per sq. ft. Provide support with string or wire trellis. For a fall crop, plant again six to eight weeks before frost. Days to harvest: 50 to 60 days from planting seeds. Very frost-hardy. Hint: Add legume inoculant to soil when planting to increase vigor and yield. Sow seeds 1″ deep directly in garden. Spacing: Plant four seeds per sq. ft.; thin to two plants per sq. ft.
Plant after frost, when soil reaches 60 degrees F.
Need to grow at least 12 to 18 plants of same variety to ensure good pollination. Days to harvest: 65 to 75 from planting. Not frost-hardy. Sow 1/2″ deep in garden two to three weeks after last spring frost, or indoors at time of last frost. Transplant seedlings (if started indoors) when small and soil has reached 70 degrees F.
Spacing: one or two plants per sq. ft.
Days to harvest: 75 days from transplant. Not frost-hardy. Hint: Cover soil surface with plastic or grow vines on trellis to keep melons off soil. Sow seeds 1″ deep directly in garden after all danger of frost. Days to harvest: 50-80 days from seed, depending on variety. Not frost-hardy. Hint: Add a legume inoculant when planting to increase vigor and yield. Sow seeds indoors 10 to 12 weeks before the last frost. Transplant into garden when soil reaches 50 degrees F. and nights stay above 40. Spacing: two per sq. ft.
Days to harvest: 80 to maturity; harvest individual stalks as needed. Frost-hardy. Hint: Plants tolerate some shade. Ensure consistent moisture to avoid tough stalks. Start seeds indoors three to four weeks before last frost or sow directly after soil has warmed to 60 degrees F.
If transplanting, handle carefully to avoid disturbing roots. Spacing: one per sq. ft. Locate at outer edge of bed and let vines run onto lawn or up a trellis. Smaller pumpkins have shorter vines. Hint: For best storage, leave stems long and cut stems cleanly from vine (don’t pull or tear).